Hoping to get inspired anyway. 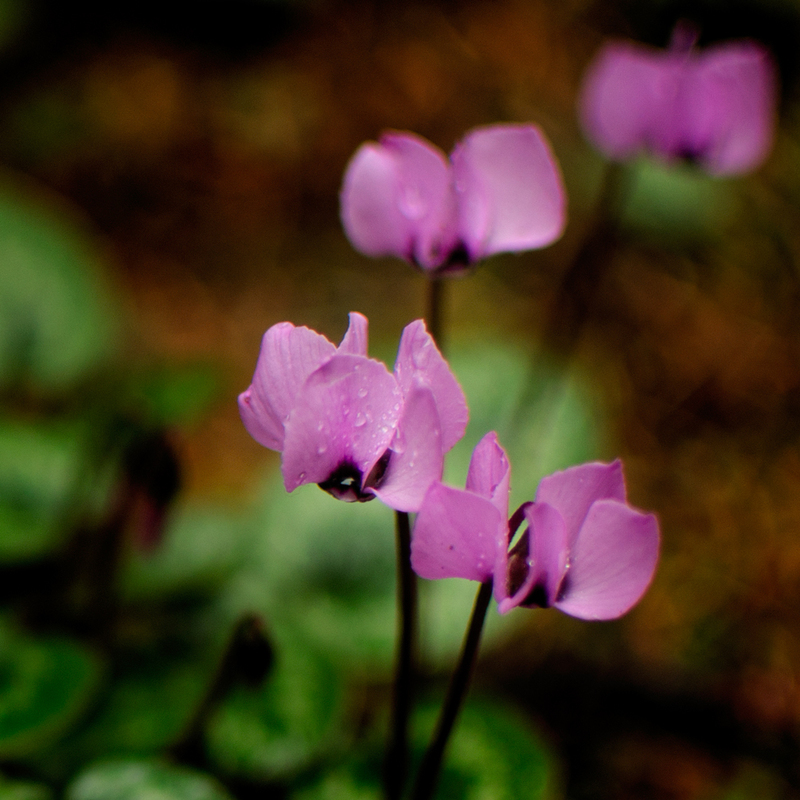 These tiny hardy cyclamen are cheery. A little something for you who are frozen. Welcome back, Ellen. Nice to know flowers are blooming somewhere. Lovely color–the soft purple stands out against the green, and the water drops make it all so fresh. Welcome back! Lovely way to warm the day. They’d wilt in our heat – Water them quickly! Love the colorful warmth for this cold morning. That brightened my frozen day perfectly (even warmed me a bit)! LOVE color! I’m sure they’ll brighten up someone’s day, they made me smile.